Co-Founder, SpineHope, a non profit organization that transforms the lives of children with spinal deformities worldwide through surgery, education and research. Matthew J. Geck MD is a board certified, fellowship trained orthopedic surgeon who has a practice focused exclusively on spine and scoliosis surgery. For the past 10 years his Austin-based practice has focused exclusively on spine and scoliosis surgery, and since 2003 has become the largest spinal deformity practice in central Texas treating adult and pediatric scoliosis, kyphosis and other complex spinal problems. Dr. Geck also specializes in cervical disc replacement and cervical myelopathy. Dr. Geck’s practice is a referral center for some of the most complex cases of adult and pediatric scoliosis, as well as other complex problems of the adult and pediatric spine. He has performed over 1500 spine operations in practice. He has had the largest spinal deformity practice in Central Texas since 2003, treating scoliosis, kyphosis, and other complex spinal problems. Dr. Geck was raised in Wisconsin. He performed his undergraduate work at the University of Wisconsin in the Medical Scholars program and graduated Phi Beta Kappa in 1992. He attended medical school at the University of Wisconsin School of Medicine and graduated in 1996 Alpha Omega Alpha. Dr. Geck performed his orthopedic surgery residency at the UCLA Medical Center, and was Chief Resident in 2000. To add to his adult and pediatric spine training, he elected to perform two fellowships in spine surgery. He completed the first fellowship in adult and pediatric spine surgery at Jackson Memorial Hospital and a second fellowship in scoliosis and kyphosis surgery at Miami Children’s Hospital. Dr. Geck was certified by the American Board of Orthopaedic Surgery in 2003. He has been in practice in Austin, Texas since 2002. He served as medical director at his previous practice, from 2008 to 2009. Dr. Geck was then named as Co-Chief of the Seton Spine and Scoliosis Center in November of 2009. Dr. Geck performed an ACGME approved spine fellowship in adult and pediatric spine surgery at Jackson Memorial Hospital. He then spent additional time at Miami Children's Hospital focusing on complex spinal deformities such as scoliosis, kyphosis, and revision surgery for the previously operated scoliosis patient. Dr. Geck is also the Founder of SpineHope, a non profit organization that transforms the lives of children with spinal deformities worldwide through surgery, education and research. In addition to 7 trips to Cali, Colombia performing life changing spinal surgeries for underprivileged children, Dr. Geck intends through SpineHope to develop additional global outreach programs. For his efforts in global outreach for complex spine problems Dr. Geck was given the University of Wisconsin’s Forward under 40 award in 2009. Dr. Geck has been named to the Becker's Spine Review list of "50 Spine Surgeons Focusing on Scoliosis Development." Dr. Geck is leading the way with minimally invasive scoliosis reconstruction. Dr. Geck has written or presented more than 40 scientific papers and book chapters in the journals Spine, The Journal of Spinal Disorders, Orthopedic Clinics in North America, and at the Scoliosis Research Society, International Meeting for Advanced Spinal Techniques, North American Spine Society, Cervical Spine Research Society, and the American Academy of Orthopaedic Surgeons. He is a Fellow of the Scoliosis Research Society, North American Spine Society, and the American Academy of Orthopedic Surgeons. 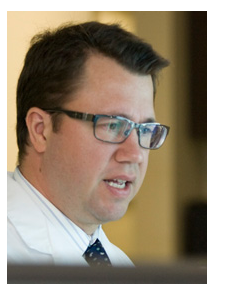 Dr. Matthew Geck is only the third surgeon in central Texas to be accepted into the Cervical Spine Research Society. He was accepted into the society in February of 2012. Minimally invasive spine surgery, including XLIF, MAST, and other technologies. Degenerative disease of the neck and back. Herniated discs in the cervical, thoracic, and lumbar spine. Primary spine tumors and metastases to the spine. Click here to watch videos featuring the latest spine surgery and scoliosis surgery techniques and innovations. 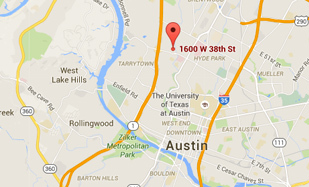 Videos include Dr. Matthew Geck featured on Austin, Texas news stations. Also view patient educational videos of spine and scoliosis procedures including: "Rod Capture like Sideloading Screws", DLIF procedure, TLIF procedure, XLIF procedure, Scoliosis Care, Patient Success Stories, Minimally Invasive Scoliosis Surgery and more.